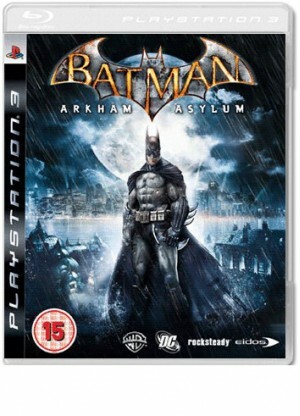 Batman: Arkham Asylum Game of the Year Edition adds a new dimension to the multi award-winning gameplay experience, with support for TriOviz 3D on the PlayStation 3. TriOviz 3D is a patented 3D process which adds depth to the game, visible to players wearing 3D glasses. By leveraging the depth-of-field while maintaining the original gameplay and colour integrity, TriOviz 3D creates a far more immersive gaming experience, allowing console players to dive deeper into the gothic world of Arkham Asylum. Expanding the gameplay of the original boxed edition, the Batman: Arkham Asylum Game of the Year Edition comes with all six previously released Downloadable Content Challenge Maps on disc, giving players further opportunity to hone their combat skills. Gamers can face-off against Arkham Asylum’s toughest inmates in some of the iconic environs from the game such as the infamous Crime Alley and the insane Scarecrow Nightmare.